Red Brick on the Lake: JORD Watch | Review & Giveaway! 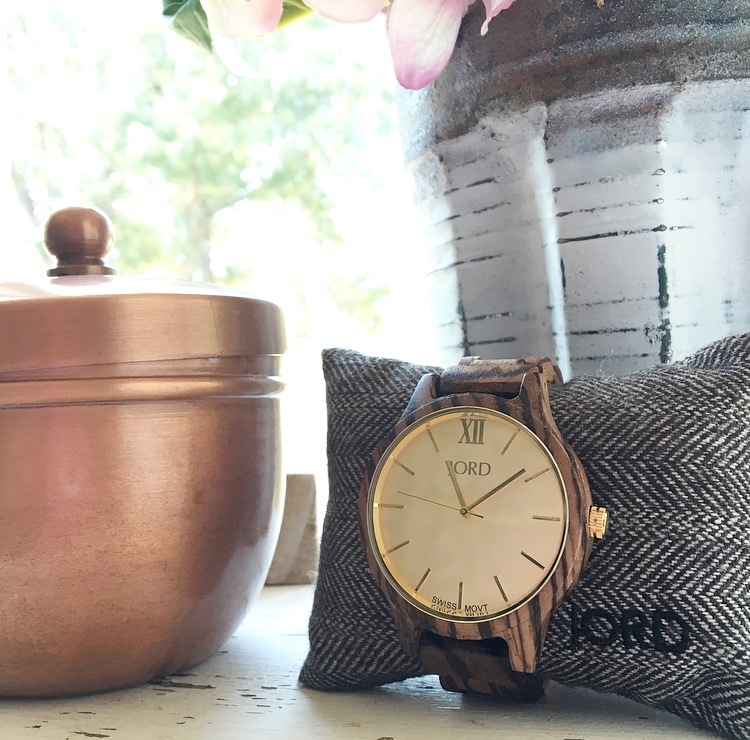 JORD Watch | Review & Giveaway! Hello friends! I am so excited to be sharing a very beautiful product with you! 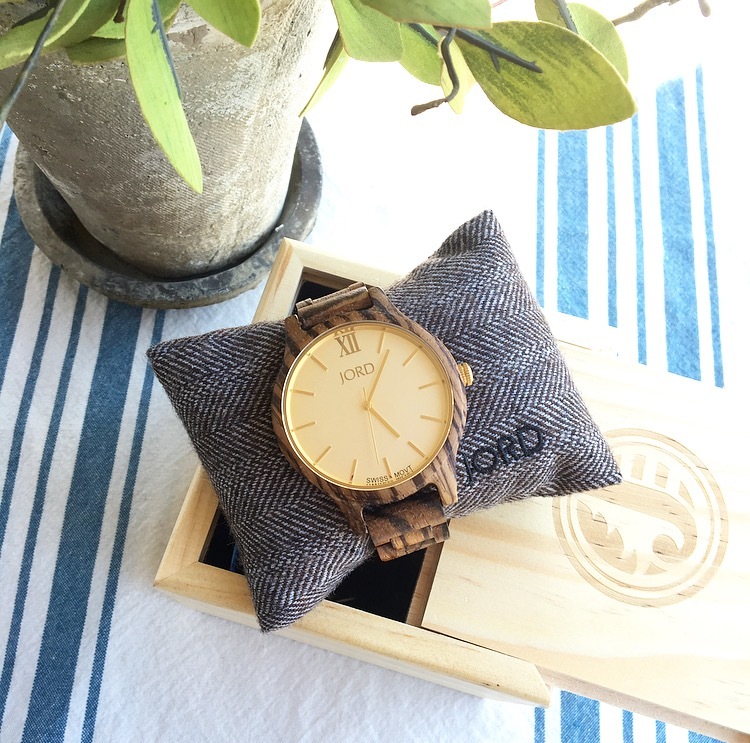 I've admired wood watches from JORD for awhile now and was thrilled when they asked if I would review one of their amazing timepieces from their Frankie series! When the watch arrived in the mail, it came beautifully packaged in this wood box! Already perfect for gift giving too! I received the Frankie series Zebrawood & Champagne watch. It was really the perfect watch for me because I dress simple and casual most of the time...but the best part about this ladies watch is that I can wear it dressed up or dressed down! It honestly works for both! The wood is absolutely stunning and I have already had so many questions and comments about it while out and about. I've always loved wearing a watch, and these women's watches are not only lightweight but are beautiful and unique! If you follow me on Instagram, you know just how much I love unique items. I am already planning gifts for this Christmas for a couple family members that I know would love one! I think they would make such unique gifts! Another great thing about ordering from JORD, is you can print a size chart that allows you to pick the correct size watch for your wrist! Therefore ensuring that when you receive your watch, it's ready to wear! Be sure to also check out their men's watches! My husband may or may not already know what I'm getting him for Christmas! 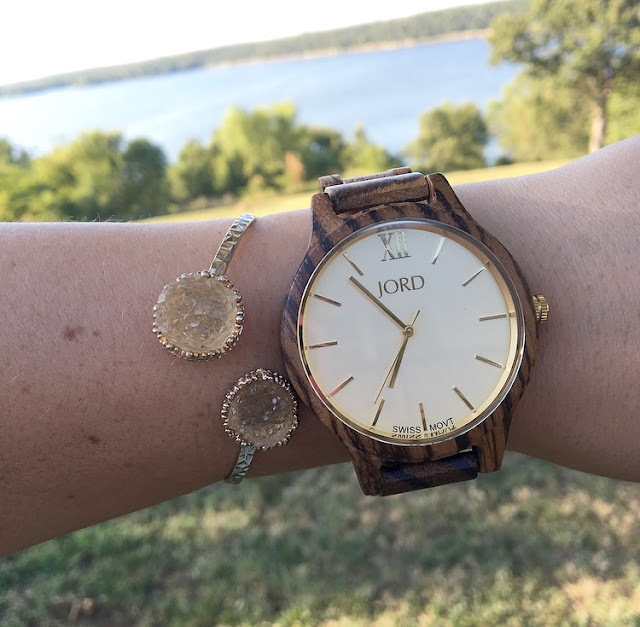 Want a chance to win a $75 credit toward a JORD watch of your own? Enter HERE and one lucky person will win a $75 e-voucher to apply to a watch of their choice! (expiring 9/2) The best part is there are no "losers"! Just for entering you will receive a $20 e-voucher (excluding the winner) that will expire 12/2. Winner will be randomly selected by JORD and notified my email! Good luck to all! **This watch was sponsored to me from JORD but all opinions are my own and honest. 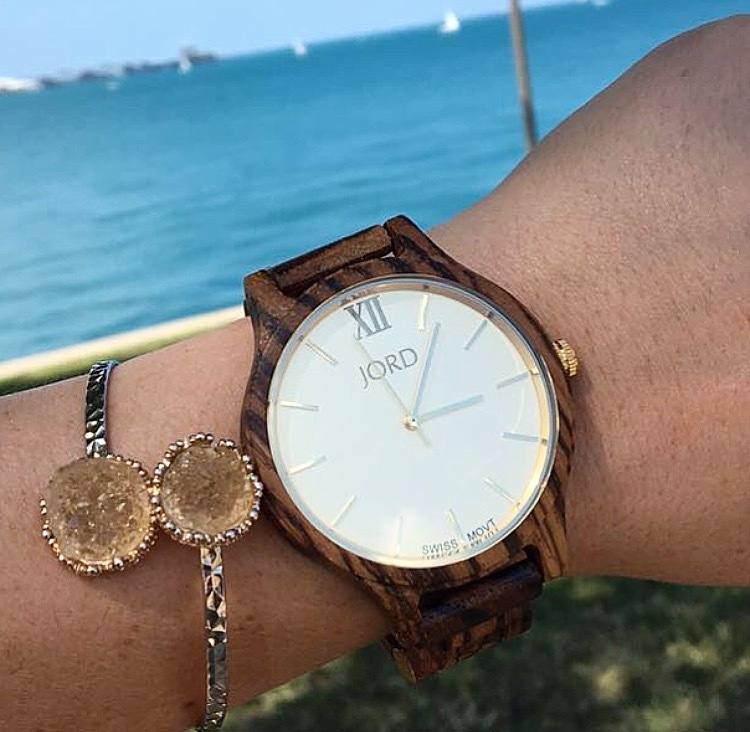 That's a best collection of Jord watch, I love this watch because of its wooden chain and It is updated with latest design and style. Find the amazing watch store online to buy cool watches at best price.